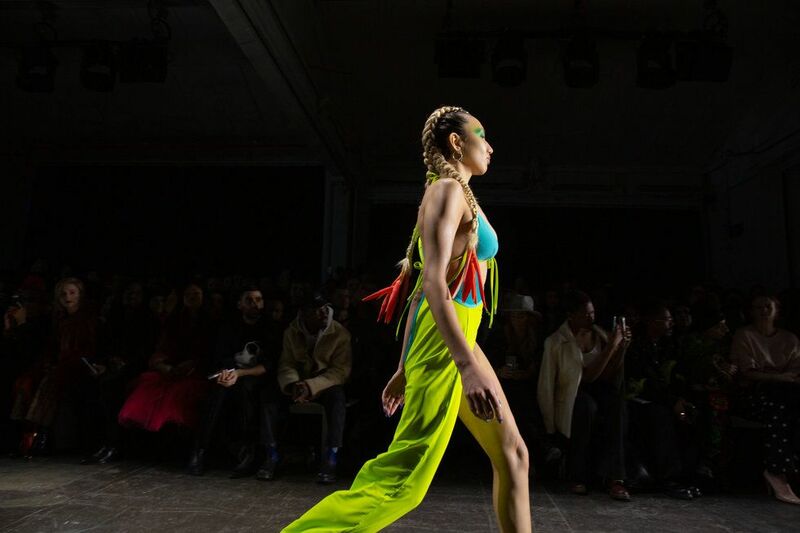 Each season, Chromat presents one of the most diverse and thought-provoking shows of NYFW. Designer Becca McCharen-Chan has created a niche brand, that mainly focuses on swimwear, but tackles ideas far beyond the foot of the pool. Her fall 2019 collection was one of her most colorful yet. Here's everything you need to know about the show. This was the designer's first collection since moving to Miami. Relocating to the city had a major impact on her, both in terms of aesthetics (you may have noticed the swimwear seemed a little skimpier, maybe even a little more sporty) and in concept. 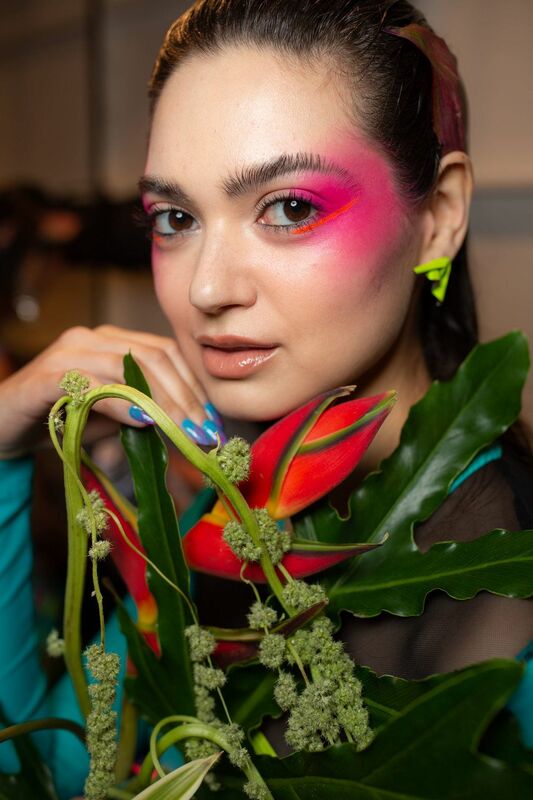 Using Miami as the main cue here, Chromat sent swimswear down the runway in every bright hue imaginable: neon green, atomic pink, highlighter yellow, raver purple. The other side of the impact and inspiration courtesy of Miami came from an eco-friendly standpoint. Chromat was thinking about climate change and the direct impact it has on Miami's environment. Many of the swimsuits were made of TPU and Lycra as well as dead stock fabrics. 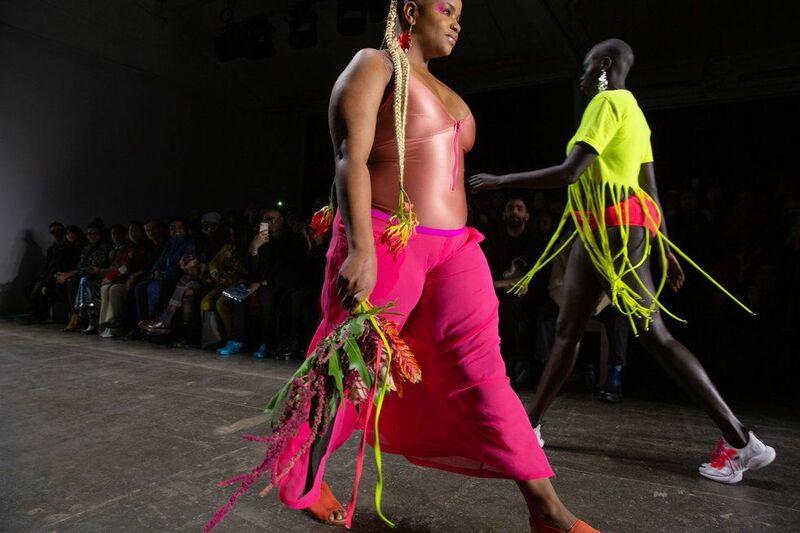 Each season, Chromat's runway is a celebration of size and color. The brand is also one of the very few well-known labels that consistently casts disabled models, too. Beyond the swimsuits, Chromat offered pieces that could be worn on the beach. A neon yellow sweatshirt that read, "Babe Watch, Miami Beach," for example, or barely there metallic dresses.